Anyone can struggle with a condition known as “writer’s block,” in which a person loses the ability to produce new work or experiences a slowdown in the creative process. 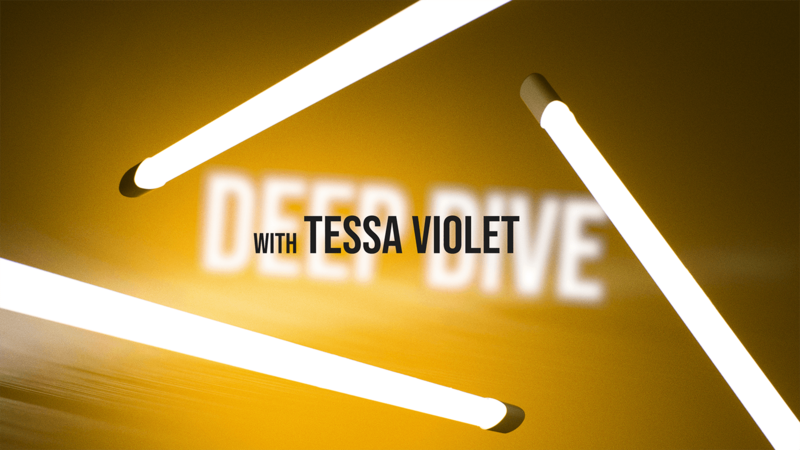 Even a highly creative and versatile artist like singer, songwriter, film director, and video blogger Tessa Violet has been in the doldrums. Tessa was living in Cambridge, Ontario, Canada, during one of those frustrating times, when nothing was clicking. She was interested in pursuing a career in making music videos but found herself “stuck creatively” and feeling “directionless.” A friend inadvertently left his guitar in her car, and then the friend moved away. Despite repeated attempts to get her friend’s new address, so that she could return the guitar, he never retrieved it, so, Tessa decided to learn to play the guitar. After she learned to play, she had another lightbulb moment that maybe she could write songs. Tessa was no longer “directionless,” and unleashed another skill she didn’t know she had. Since 2011, Tessa has written or co-written songs for three Eps, two full albums, and she even wrote a song in 2016 for the independent film The Matchbreaker, in which she also had a supporting acting role. Tessa is one of the most interesting and unpredictable contemporary artists. We are excited to see and hear what she comes up with in the future.